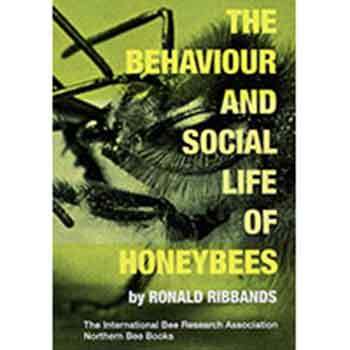 The Behaviour and Social Life of Honeybees by R Ribbands, New Paperback, 351 pages, published 2016, Latest Revised Edition. A fantastic and comprehensive review, designed to meet the needs of SCIENTISTS, BEEKEEPERS, AND ALL READERS WHO ARE INTERESTED IN THE NATURAL HISTORY OF INSECTS. It is written in everyday English, without scientific jargon. Re-printed with a new foreword by Prof. Thomas D. Seeley, Department of Neurobiology and Behaviour, Cornell University & an introduction by Norman Carreck, Science Director at the International Bee Research Association, University of Sussex. The author particularly emphasises the most recent researches, including surprising results which have hitherto only been described in scientific journals. In addition, many interesting experiments are now reported for the first time. The author also provides evidence to show that the honeybee community is no longer something incomprehensible; he builds up a picture step by step which enables him to explain its greatest mysteries in terms which are easy to understand. Understanding of these facts can help BEEKEEPERS in the intelligent pursuit of their craft; scientific aspects of many practical beekeeping problems are fully discussed. FARMERS AND FRUIT GROWERS will be particularly interested in the chapters concerned with pollination and with the possibility of directing honeybees to particular crops.